Its privileged location makes our Hotel the perfect setting, both to enjoy a relaxing stay and to organize seminaries or incentive meetings while enjoying all the facilities inside and outside the site. 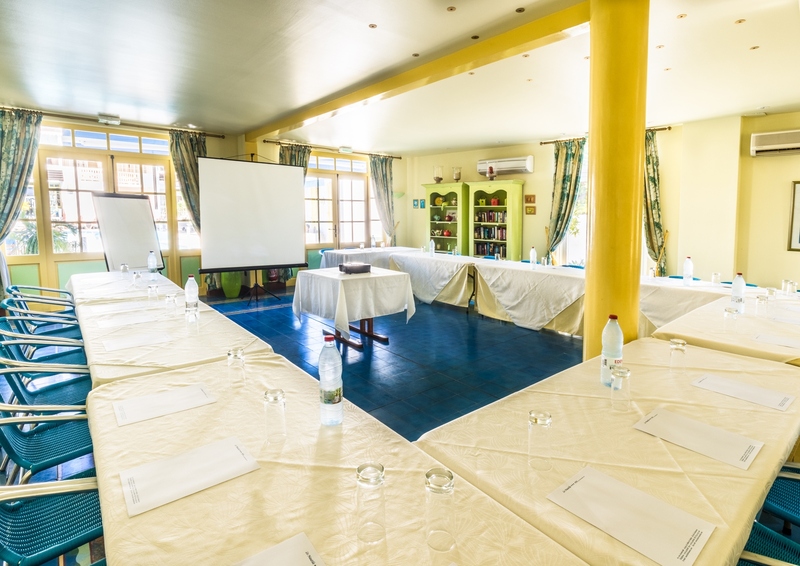 Le Nautile*** Beachfront Hotel organizes seminaries, meetings, conferences and presentations combining work and pleasure. Bathed in natural light, our air-conditioned multipurpose flexible 120m² meeting room can accommodate up to 80 delegates in Theater Seating and 50 people in Schoolroom configuration. Audio-visual equipment, air conditioning, breaks, two courses lunch or express formula near the pool… according to your personal specific requirements. 3 additional rooms capacity : up to 16 participants in Theater seating or Schoolroom. Technical equipment: Flipchart, overhead projector, video projector, Microphone, 127cm flat screen Plasma TV, VCR, High-speed wireless internet access.WI-FI. Meals are served at our Restaurant nearby the swimming pool. À la carte service and supporting program, upon request. Le Nautile*** Beach Hotel is located on the west coast of Reunion Island. The hotel is nestled on the edge of a beautiful part of the beach and the lagoon of l’Hermitage, encircled by the coral reef.